Ready in minutes. 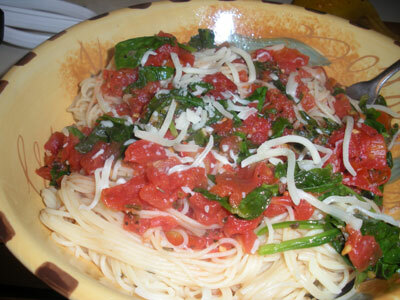 Use whole grain pasta for an even healthier dish. 1) In large sauce pan on medium high heat, saute garlic about 2 minutes. Add all seasonings. 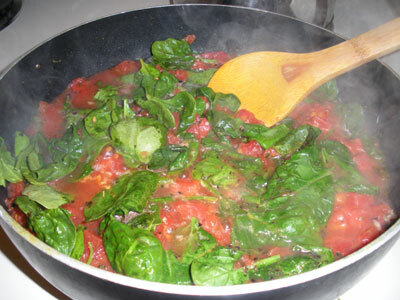 2) Add diced tomatoes and about ¼ cup water. Bring to quick boil, then reduce heat. Add fresh basil (if desired). 3) Add spinach and stir. Let it cook til just wilting.